In 23-28 September 2018, I visited Batu city again as a team member of feasibility study on agricultural cooperation between Fukushima city and Batu city, East Java. We discussed about how to manage agricultural development in Batu with its mayor and its government officials. Many fruitful information and suggestion we got. We will invite the delegation of Batu city to Fukushima and Tokyo in 29 October – 2 November 2018. 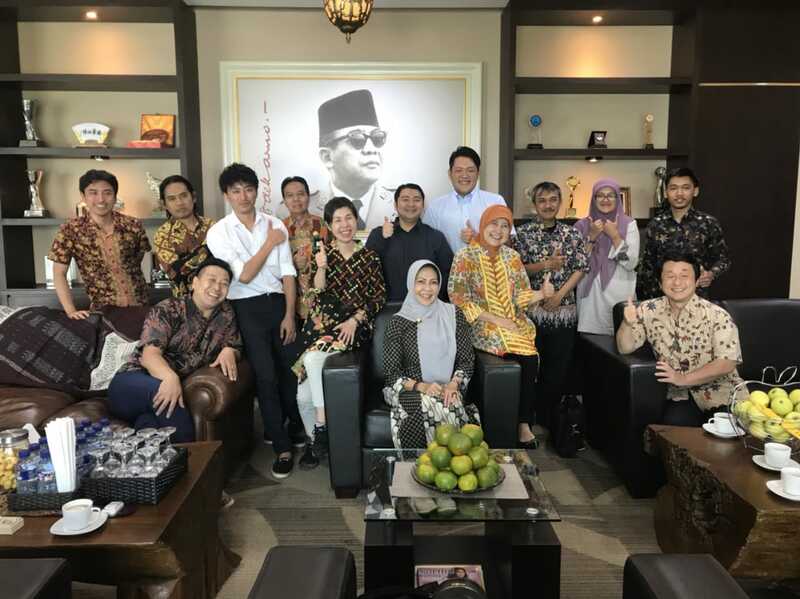 As a study team member, I visited Indonesia for kick-off of our feasibility study on agricultural cooperation between Fukushima city and Batu city, East Java. We discussed contents and directions of this study with Mayor and government officials of Batu city and exchanged opinion and information with Ministry of Agriculture. Our team consists of Ginray Co. Ltd. from Fukushima, JA Fukushima Mirai, Prof. Sugiura (Chuo Univ) as chief advisor, ERM Japan and me. We will invite the mission from Batu city headed by its mayor to Fukushima in next July. Photo with mayor of Batu city after discussion. 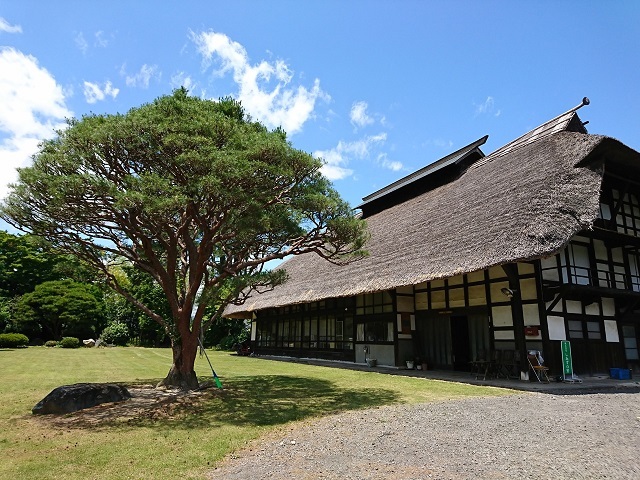 Taken by Naoko Takahashi, 14 May 2018. In 26-30 November 2017, I visited Surabaya to attend the JICA project to support Food Processing Industries in Indonesia by SME from Osaka. 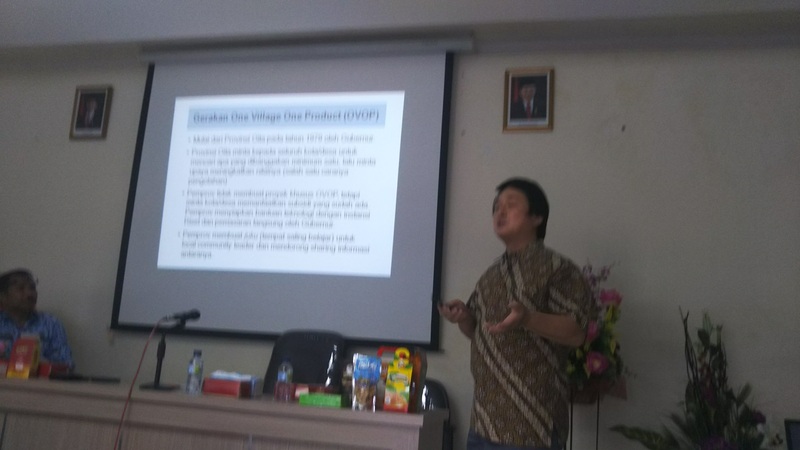 In 29 November, I gave a lecture on Japan’s Experience of Local Industrial Development, focusing on Food Processing Industries, in Bahasa Indonesia, to government officials of East Java Provincial Government. In the name of JICA survey on local to local partnership in agriculture between Indonesia and Japan, I brought three persons from Fukushima city to Malang and Batu, East Java, Indonesia, in July 26-28, 2016. Fukushima and Malang/Batu have the same character as center of fruits production and processing. Fukushima is very famous as production center of peach, pear, apple and other fruits except orange. Malang and Batu are famous as apple, orange, crystal guava, and other tropical fruits. In Malang and Batu, we discussed with those two local governments about the direction of this supposed partnership and share the philosophy of agriculture in the future. We agreed with farmers-centered agricultural industrialization against strong wave of globalization through market forces. In other words, the main objective is to improve the position and income of farmers, supported by manufacturers. More focus on sustainability and continuity of interaction between farmers and manufacturers, rather than the increase of production and productivity that are requested by market force. For example, vacuum fried chips (kripik) are main products of fruit processing in Malang and Batu now. Because of that, the future of kripik is not prospective because more manufacturers will start to produce kripik and more supply of kripik will decline the value of processing. Very difficult to increase the income of farmers. Processing-centered strategies will not always be good result to farmers. So, my guests from Fukushima requested farmers in Malang and Batu not just satisfy as suppliers of fruits materials for manufacturers, but try to produce qualified fresh fruits against dominant imported fruits in Indonesian market. Food security is the biggest concern of Fukushima after the nuclear power plant accident. Fukushima has made extra hard effort to recover its trust in agriculture market until now. The key is not only the quality, but also the security of foods and agricultural products. Also, organic products are not always accepted in market if they are not so delicious. Farmers try to produce delicious fruits with paying attention to food security (and may be in organic way). We think this with seeing many small apples in a tree in Batu. In September, we will invite local government officials from Malang and Batu to Fukushima to see and understand the system of agriculture, mainly of fruits. 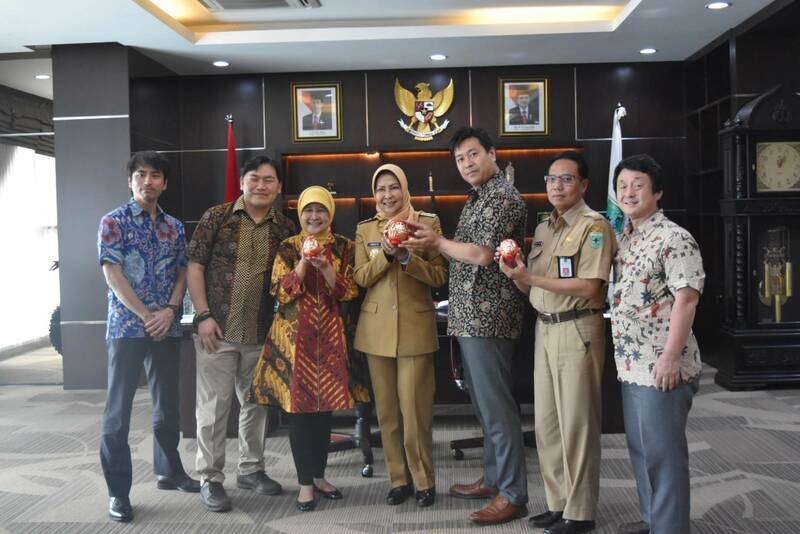 We will continue to discuss about real partnership building in fruits promotion between Fukushima and Malang/Batu. See the next step. In the name of JICA survey, I visited Malang city and Batu city in East Java province in July 14-16, 2016. This survey will search for possible cooperation and partnership relation between local government in Japan and in Indonesia to promote win-win private business development on agriculture and livestock sector. So, there are two kinds of partnership in this survey: local government in Japan and local government in Indonesia; and government sector and private sector in each local government. Malang city and Batu city are included as the candidate local government in Indonesia, especially in the field of fruits production, processing and marketing development. So, what will the partner candidate in Japan? Anyway, in July 14, I visited the Office of Agriculture of Malang city to discuss with the Head at 8:30 am. Unfortunately, he was asked by Mayor to attend urgent important meeting in the City Hall. So, I had to just wait for the finish of the meeting. Maybe 1-2 hours, I think. At last, I could meet the Head at 3 pm. He wanted me to meet the Mayor. I was very surprised at hearing it because it is usually very difficult to make appointment the local head as Governor, district head (Bupati), or Mayor. Fortunately, thanks to the initiative of the Head of the Office of Agriculture, I met the Mayor, Bapak H. Moch. Anton. I explained about our survey and he appreciated us very much. He gave some suggestions and hints to promote next step for partnership building with local government in Japan. What will happen in the next step? We will see it later.